Hey y'all..it's Tuesday! 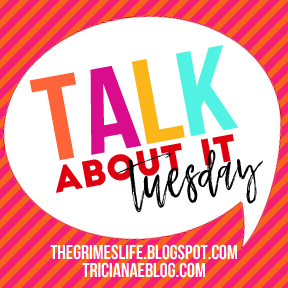 Which means it's time for another TALK ABOUT IT TUESDAY!! Today, I'm talking all about my Christmas wish list. C and I don't always exchange gifts. If we go on a trip or do something more exciting than usual around the holidays, we sort of call that a gift. This year, we are going on vacation the week before, so we promised we wouldn't buy each other gifts. I mean, we still end up getting a little treat..but nothing major. And I'm so okay with that. I really do cherish just getting to hang out with my family. I do LOVE buying gifts for other people though. Especially kids. And...I'm not going to lie...it is always fun to get a little something special! Here's a few of the things I've been eyeing recently (or in some cases...for a while). That perfume smells SO amazing. I've been wearing the same perfume for years and it is time to mix it up. I am loving this scent!! I've been eyeing this necklace FOREVER. This is one of the items that is actually on my weight loss rewards list. Just in case. Miranda can do no wrong. And, yes, I still love cd's. I may be the only girl without a pair of Kendra Scott earrings. I want a pair SO bad. The turquoise is my favorite. This phone case is adorable!! I NEED this jersey. And...I'm going to need it before the Super Bowl. Cause you know we are going to be playing that day. GO COWBOYS!!! Funny story. I saw these shoes at Kohl's the other day. And I laughed because I thought they were childish. I tried them on to take a silly picture. But, then I fell in love. OOPS. Now I want them on my feet all the time. Every time I go to Anthropologie, I eye these dishes. And every time, I try to convince myself I don't want or need them. I'm a plain white dishes kind of girl, I tell myself. But these are just so dang pretty. Food will taste better on them. I'm sure of it. What's on your list? Be sure to visit my co-host Melissa and then link up!! Also joining Victoria and Sarah! 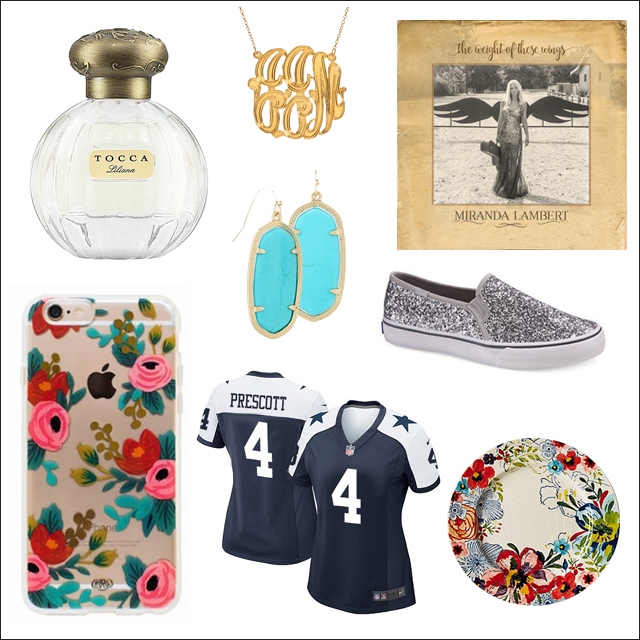 Oh girl I just love all of those items and something else I love it this Tuesday blog fun!! I am raising my hand, I don't own a pair of Kendra Scott earrings but I sure do want a pair! I am always so afraid they will be too heavy. Have a wonderful rest of your week! Oh my gosh. I LOVE those dishes! Yes you do need them! You do! Love everything on your list!